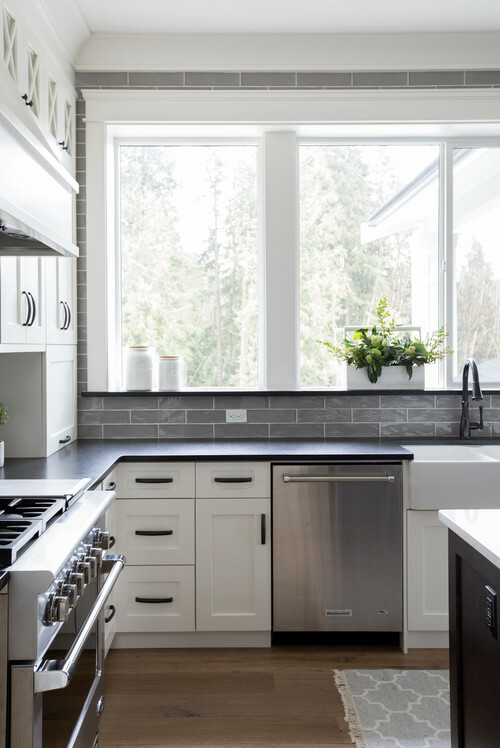 This modern farmhouse black and white kitchen is similar to the previous one, but instead of a white island, a large black island dominates the space. I love the use of gray tile on the backsplash for a unique touch. 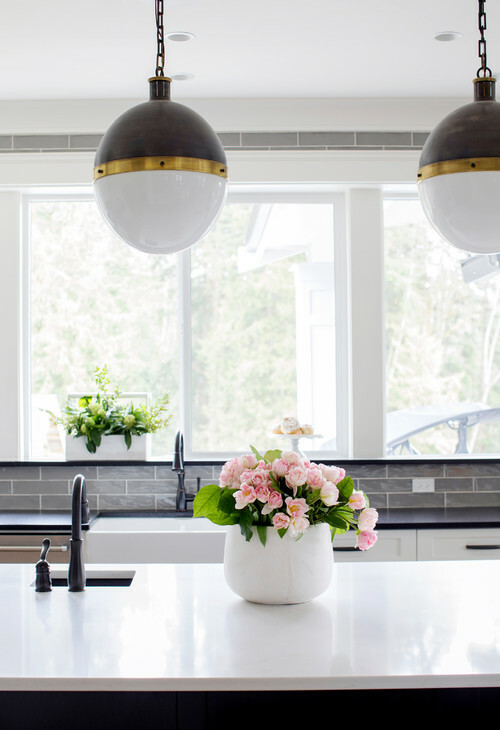 What do you think of the unusual black-and-white globe pendant lights?